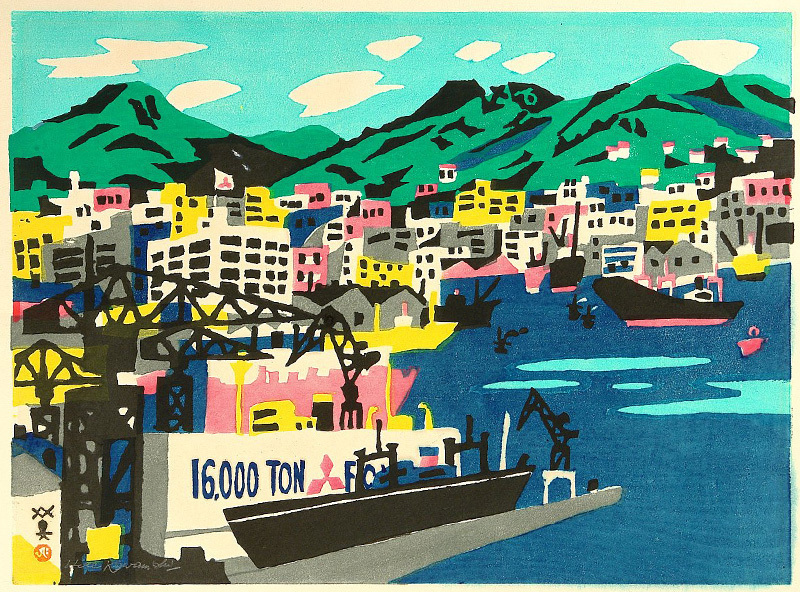 "Kawanishi Hide (川西英) was born and worked in Kobe, an international port city that inspired much of his subject matter. He was employed as a postmaster, but his ancestors were merchants, particularly traders in sake, mirin, and shochu, which they transported to Tokyo in their fleet of ships. Kawanishi's family opposed his becoming involved in painting and printmaking.